History of mankind is not a series of secular happenings without any shape or pattern; it is a meaningful process designed to restore balance in the otherwise chaotic world. And the history of India has for its landmarks not wars and emperors but saints and scriptures. Nations have a history as well as geography. They grow not by the sun and stars, the wind and the rain but by the creative Spirits who by precept and practice work toward the establishment of universal brotherhood of man, overcoming the artificial barriers of caste, creed or color. Today, we are living in the most crucial period of modern civilization when a reign of terror has been let loose by self-appointed and fundamentalist custodians of religion. One cannot blame those sane elements, who believe in and work for peace and harmony in the strife-torn world, if they begin to look upon religion as a curse. It is at times like these that we turn to god-men like Shirdi Sai Baba whose life and teachings a hundred years ago seem to be more relevant now than ever. Even though he may be known as much for the miracles he performed in the process of alleviating human suffering as for his eclectic philosophy, we cannot turn blind eye to the fact that Baba epitomized in himself the great mission of human brotherhood and harmony. The veritable home of saints, seers and sages for centuries, nay millennia, India has been the temple of inspiration for the seekers of truth and spiritual knowledge. Illustrious god-men like Lalleshwari, Rupa Bhavani, Sheikh Nuruddin, Swami Kashkak, Bhagwan Gopinath, Kabir, Tulsi, Surdas, Sri Krishna Chaitanya, Tuka Ram, Eknath, Narsi Mehta, Tyagaraja, Dhyaneshwar, Tiruvalluvar, Namdev, Mirabai, Dayanand, Guru Nanak, Sri Ramakrishna Paramahansa, Vivekananda, Swami Ram Tirtha, Shri Sai Baba of Shirdi, Shri Narayana Guru, Shri Ramana Maharishi, Sri Aurobindo, Satya Sai Baba and Amritanandamayi Maa have had profound impact on enriching, elevating and refining our social and spiritual fabric. All of them, and many more, have provided the healing touch to the lonely and the lost and helped the people at large in distress. The greatest service rendered by these saints to mankind has been to install a sense of unity and harmony among the followers of various faiths. In the glittering spectrum of the great spiritual genii thrown up in the last two centuries, none is more fascinating and bizarre than Sri Sai Baba of Shirdi. A flaming prophet, an apostle of love, a true faqir, a yogi par excellence, a saint of matchless purity, a phenomenon extraordinary and a mystic with tremendous healing power, Sai Baba was born a mortal in 1838 in village Pathri in Hyderabad, South India, but achieved immortality through sheer force of his character and the grace of the Unknown. One of the finest flowers of Indias rich spiritual traditions, Sai Baba discouraged questions on his parentage and, when asked, mostly gave mystifying answers. On one occasion, he said his father was Purusha (The Supreme Reality) and his mother Prakriti (Material Universe). When he was first seen in the remote, un-developed Maharashtrian village of Shirdi in solitude and under the now-famous morgosa tree called Gode Neem, he would not talk to anyone but just roam about in agricultural fields, squat at the foot of any tree and evince no interest in worldly matters. He had no fixed residence. True faqirs usually have none. While some thought of him as nothing short of a mad man, most of the villagers endearingly called him Baba, which means father. 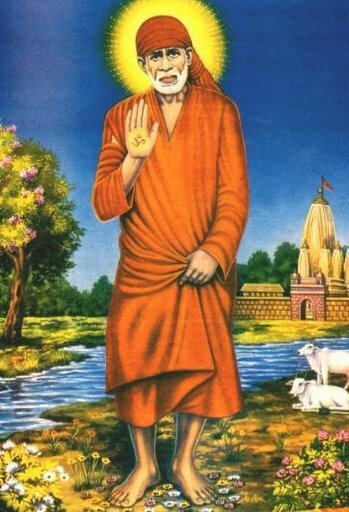 Researchers and historians, however, have now established that he was born of poor Brahmin parents in Pathri village of erstwhile State of Hyderabad-a fact very strongly supported by Shri Satya Sai Baba of Puttaparthi. During his daily rounds with a begging bowl, Baba routinely visited five houses for food and would also collect oil from the retail shop owners for the lamps to burn all night. Once, perhaps out of vulgar curiosity to know what he would do next, the shopkeepers of the village refused him the small concession of oil. Quite unperturbed, the sage returned to the mosque, followed by the inquisitive scoffers to see his reaction. But what they saw was, indeed, a sight for the very gods to see! It seemed that the hour of disclosure of his Divinity had arrived. With a tender smile playing on his lips, the calm and unruffled Sai poured a little water in his empty tumrel and drank the oily liquid. He then filled his earthen lamp containers with water. Before the crowd, including the shopkeepers who had sought to play pranks with him, could relapse into a mood of ridicule at the antics of this so-called mad faqir, Sai Baba lighted the lamps. And lo and behold! Those who had come to scoff stayed on to pray, as the lights fed on pure aqua kept on burning throughout the night. The story of the water miracle spread like wild fire. The unknown village of Shirdi was caught in the grip of inspired and unbridled enthusiasm, as more and more people learnt about earthen lamps in the mosque burning all night with water and not oil. People now recognized the diamond on the dunghill, as some visiting Yogi had pronounced a year earlier, on seeing the young Baba clad in rags and living upon the doles of food collected during his daily rounds. No easy saint to introduce. Baba had nothing conventional about him. He flaunted his miracles with the reckless exuberance of a child, not, by any chance, to impress anyone. In fact, Sai Baba employed the miracle as an instrument to rouse people from their spiritual slumber and apathy and to bring succor and peace to those afflicted. He wanted people to live a virtuous life, free from anger, hatred and prejudice. Refused entry into a temple when he first landed in Shirdi with a marriage party from a neighboring village, he made a dilapidated mosque in an out-of-the-way corner of the village his home. In later years, he affectionately called it as his Dwarkamaayee, mother Dwarka, traditionally the birthplace of Lord Krishna. Though people worshipped him as God, he denounced this cult and said, I am not God. He would often say Allah Maalik (God is the Master). Yet, there is no doubt that he was poor mans god and remains so even after 90 years of leaving his mortal coil. Baba was not a man of letters by any standard (he had never been to a school or any other academic institution). He never wrote any book nor, perhaps, did he read one. Occasionally, he would instruct a devotee to read some religious works, though he was once heard saying that people hope to find Brahman (God) in books, but it is bhram (confusion) that they find there. However, occasionally he would instruct a devotee or two to read some religious works. Once he made one of his closest devotees, Shyama, to read Vishnu Sahasranama. And yet Babas knowledge of the scriptures-the Puranas, the Gita, the Upanishad and the Quran was profound and phenomenal, to say the least. On one occasion, he even explained the literal and allegorical meaning of a verse from the Gita to a learned Pandit, much to the scholars amazement and embarrassment. 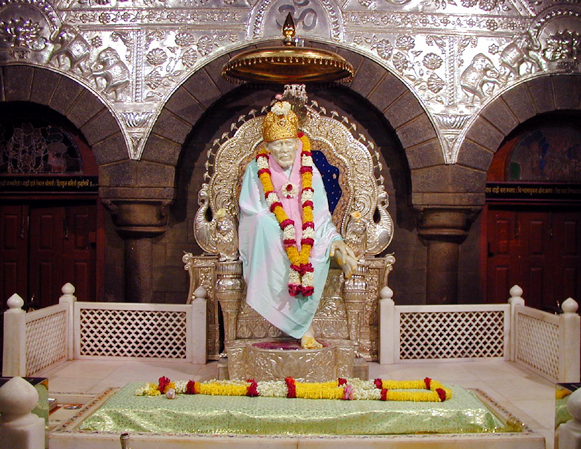 Shirdi Baba preached that there is only one God, who is the master of all the human beings. "Sabka Malik Ek" (One God governs all), was his constant refrain. He never identified himself with any particular religion. During his lifetime, no one knew for certain what his religious identity was. Was he a Hindu or a Muslim? Nobody knew as to when and where he was born. Nothing was known about his human parentage. He called the dilapidated mosque he lived in as dwarakamayi. While he invoked the name of Allah, he was well versed in Hindu scriptures-the Vedas, the Upanishads and the Gita. To Shirdi Baba, religion was a means to seek God within, to attain to a higher human plane, getting closer to the ideal of the perfect being. You can't be religious and vicious at the same time, he said. At the height of communal tension at one time in Shirdi , he prevailed upon the Hindus and the Muslims to celebrate Ram Navami simultaneously with the Urs a major Muslim festival, with the respective processions starting from the same point. The heart of a sage is a flame of love and his whole being thirsts for the uplift of suffering humanity. His heart overflowed with compassion. He practiced and preached humanism and universal brotherhood. He believed that the Self expands from micro individualism to a more universal macro state. Those who knew him in flesh and blood and watched him day and night felt the power of his love. He always thirsted for the uplift of suffering humanity. An embodiment of divine love and compassion, his heart overflowed with kindness. He spoke to his devotees with total assurance, reminiscent of Krishnas exhortation in the Gita to surrender to me and of Christs command in the Bible Come to me. 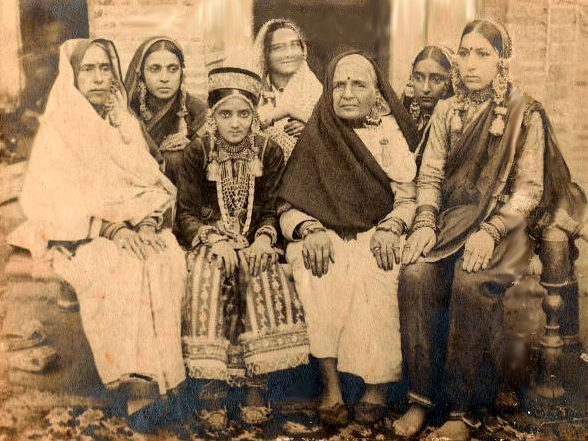 In the words of Swami Shivananda of Rishikesh, Sai Babas life was one of continuous Lokasangraha (work for the welfare of the masses), who drew unto himself countless souls caught up in Samsara (this mortal world), opened their eyes to the true meaning of life, infused viveka (discrimination) and vairagya (renunciation) and brought about their spiritual awakening. The great apostle of love that he was, he always heeded the cries of the ordinary man to whom the eradication of worldly misfortunes is more important than the attainment of some remote spiritual light. But behind this concession to an average mortals humbler needs was the deep underlying purpose of spiritual rejuvenation. 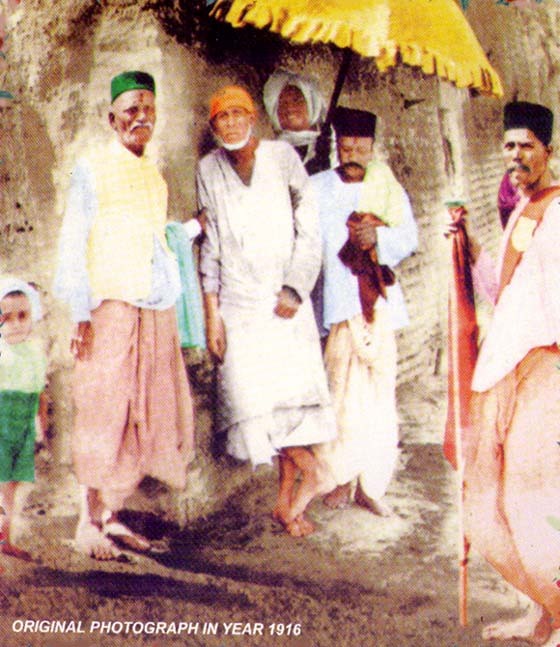 Shirdi Baba did not sermonize nor did he give any discourse on the concepts of Maya or Kundalini. He opened the way to all the winds that blew. His philosophy of life could be summed up in just two simple words: Shraddha (Faith) and Saburi (Patience). Baba did not preach self-denial. He didn't say that repudiation of everyday chores of life was a precondition to spiritual quest. Inner peace and poise, he said, cannot be achieved by running away from the problems of life. It had to come from within, even in the midst of chaos. His universal message of love, unity and equal respect for all religions and faiths could serve as the beacon light for the prevailing religious hatred, prejudices and strifes. He catered to the fundamental spiritual urge of the lowliest and the lost, the under-privileged and the downtrodden. 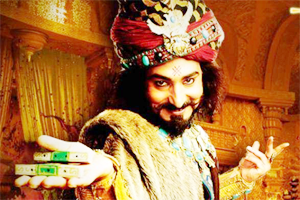 He treated alike an ordinary worker, a high government official, a beggar, a leper, an affluent landlord, a business tycoon and a raja (ruler). Shirdi Baba abhorred cultism and, therefore, never ever thought of establishing a monastery, an ashram, a muth or a peetha. Strange but true, he did not initiate any disciples to take over from him, though he had devotees galore. Baba never wanted to perpetuate a cult. The life of Sai Baba, as that of Sri Ramakrshna Paramahamsa, Shri Narayana Guru and Shri Ramana Maharishi, makes us realize that spirituality is something that lies in the depth of our very consciousness. Baba was of this earth, quite approachable. He was one of us, flesh of our flesh and blood of our blood. As for himself, Baba had attained an inner poise, the state of equanimity. To borrow the well-known idiom from the Gita, Baba was a sthitaprajna (one steeped in steady divine wisdom). He would pour out unobtrusive, silent and steady healing vibrations into the troubled souls through a mysterious process. As he had indicated a few years before passing into the beyond that he would cross the ocean of Samsara on the occasion of Dussehra, Baba did leave his physical body on the same auspicious day, corresponding to October 16, 1918. As many as ninety years have passed since Sais mortal remains were entombed in Shirdi, yet he moves, lives and blesses mankind even now. The sweet fragrance of love, unity and harmony emitted by this amazing, the most unusual holy man of India, during his earthly sojourn continues unabated till this day. "If you cast your burden on me, I will bear it! If you seek my help and guidance, I will immediately give it to you! There shall be no want in my devotee's house!" A journalist by profession, a scholar by temperament and a writer by choice, Gopinath Raina was inclined to the study of religion from his very young age. It was Swami Vivekanandas dynamic exposition of Hindu thought that fired his imagination while he was still at school, and by the time he entered college, he had been drawn to the writings of Gandhi, Aurobindo, Narayana Guru, Radhakrishnan and Bertrand Russel. He has been writing profusely on various aspects of Hindu thought. 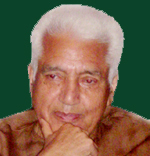 He enjoys writing, particularly on saints and sages, not only of Kashmir, but of the other parts of India as well. Presently he lives in Miami, and spends his time writing personal memoirs. I have read many books and articles written on Shirdi Sai Baba but the way you have described the greatness of this saint is superb. 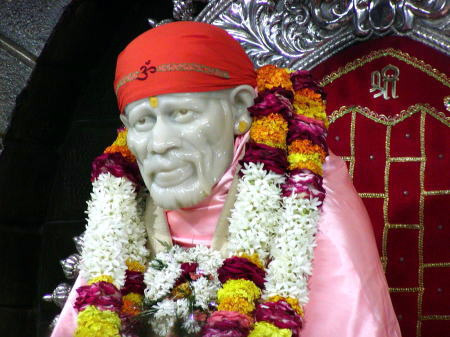 Thanks for writing this very informative article on Shirdi Sai. 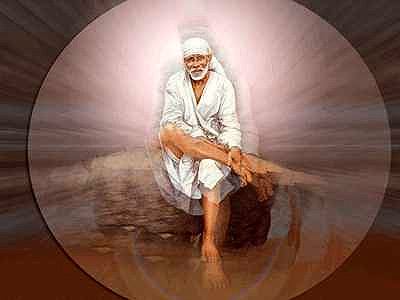 Shirdi Sai Baba is the very incarnation of Shraddha and Saburi. Shirdi Sai lived in Sattva Chetana--Pure Consciousness. Thanks for this nice write-up. As i read your articles in Koushur Samachar, now lontime ago, this one filled the void gap. I simply loved the way you have woven this article and presented SAI BABA in today's context. Undoubtedly you have 'Sai Kripa'. 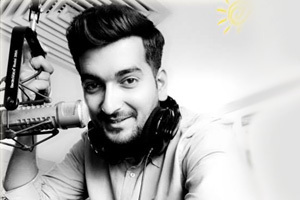 "Jevii Tvam Shardha Shatam". And we have pleasure of more lucid creative writings from you. In fact thank's to Deepak Ganju who introduced and e-mailed me Shehjar to remain in touch with minuscule fragmented community. An amazing article at a time when communal and fundamentalist tensions are rising all throughout the world. Teachings of Sai Baba would of great help in current time.